Thank you Harper for this copy! This one has 3 POVS and takes place in 1944 and 1946. In 1944 Eleanor Trigg gets permission to starts a women's division for "spies" to be sent to France. Women can blend in more than men can at that time, but even though she wants this she also wants to make sure the women can take care of themselves. Marie is one of the women that gets sent to France. She is unlikely to make it and we follow her to a dangerous time. Oh Marie, some of the decisions she made. In 1946 Clare finds 12 photographs and tries to find out what happened to those women. 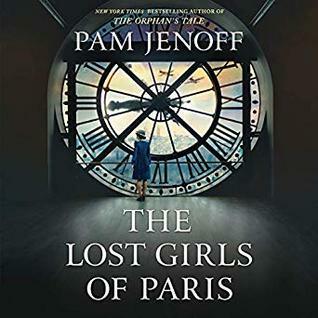 It's not the first book I read about female radio operators, messengers and saboteurs in France. And Germany's Nacht und Nebel program. So I knew it would be sad. But there is always hope and I kept that hope until the end. The France bits were obviously exciting. The training they had to have to make it. I still remember this other book were a woman looks the wrong before crossing the street and gets taken by the Germans that way. I could sure not have done it. My mom told me she wanted to be a spy when she was a young girl. I bet she'd love this book. These books are always so interesting! That sounds like a really interesting story line. I like there are three narrators. I have been thinking I might listen to this at some point. Yes women sure played important roles in WW2, don't think I could have. Oh no now I will have to see what decision Clare made!! Great review Blodeuedd, I want the audio of this too! I love it too when they get as many narrators as there are POVs! It not only makes it more realistic, it also helps make it less confusing. I really like it when books with more than one point of view use a different narrator for each character. This one sounds interesting. Dangerous and sad times! Sounds like a great story and I like having a different narrator for each of the main ladies. I've had my eye on this one- women spies!- so I'm glad that you thought it was good. I'm used to a two-timeline story being more than two years apart, too. Interesting. Yesss, I am glad women are getting their appreciation finally. I'm seeing more and more books and movies about the women lately. I have this one qued up to listen to. I hope I enjoy it as much as you did. I do love books set in this era!